Power Distribution Services has suspended the load-shedding exercise which started today[Friday]. The company released separate schedules for load-shedding across the country on Friday citing a shortfall in power supply. 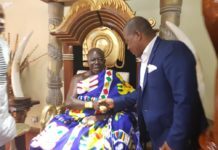 The statement said the decision was taken after a meeting with the Volta River Authority (VRA) and Public Utilities and Regulatory Commission (PURC). 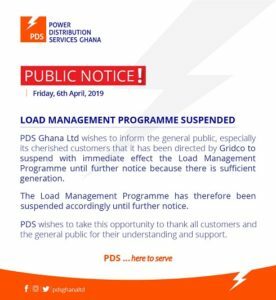 But PDS later on Friday evening said power generation company, Ghana GRIDCO told the company that it has enough power for distribution. “Earlier, we were also directed to pick all loops within our system. What it means is that we should give everyone supply. It was just this evening that we received a firm direction from them that we should suspend the schedule until further notice and notify my customers accordingly. All I have been told is that there is sufficient generation and that my customers are not going to go off”, he added. 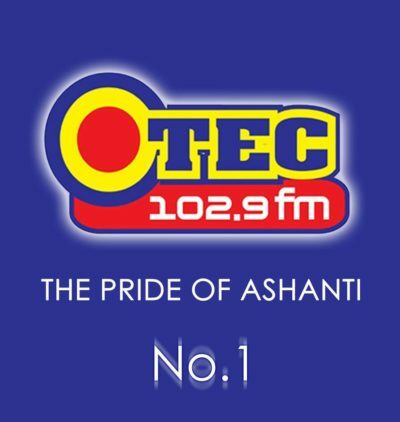 It also said the outages were as a result of the shut down of the Atuabo Gass processing plant. 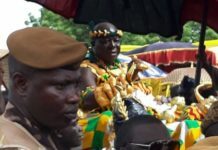 Although many Ghanaians have been reporting blackouts in their communities, it was a nationwide outage that ignited concern about a possible return to intense load-shedding experienced between 2014 and 2015. 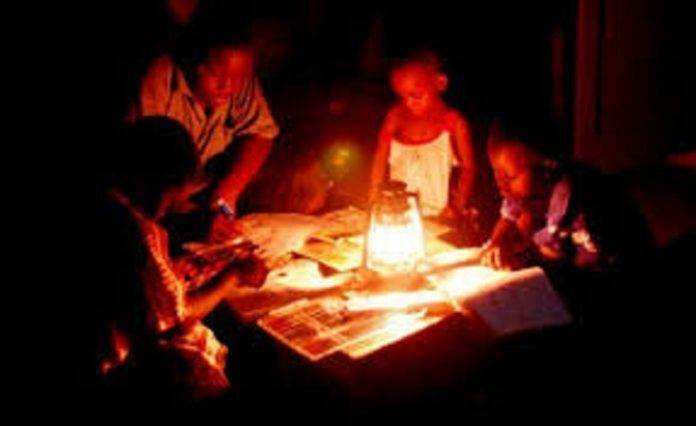 This was after observers like the Africa Centre for Energy Policy (ACEP) urged the state to admit that there were generation challenges and release a load shedding timetable to enable Ghanaians plan.